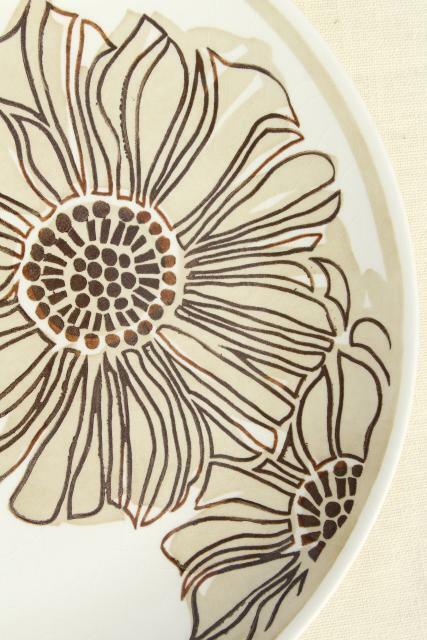 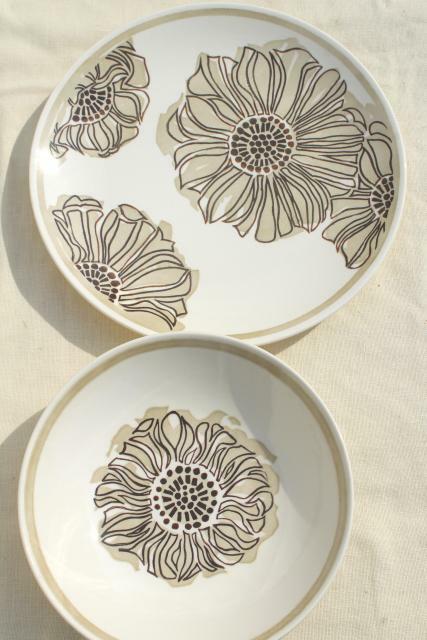 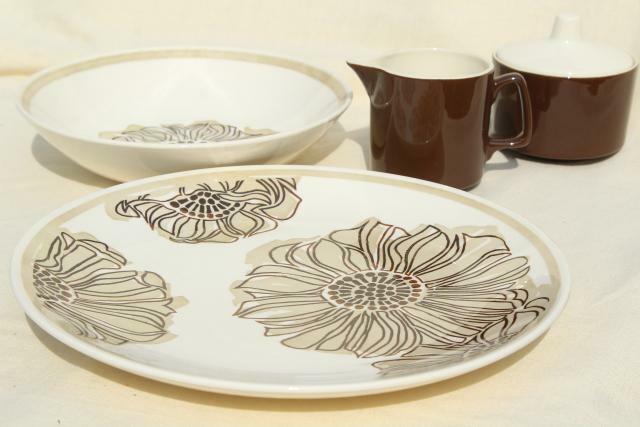 Vintage USA Royal Ironstone, zinnia pattern in brown on white. 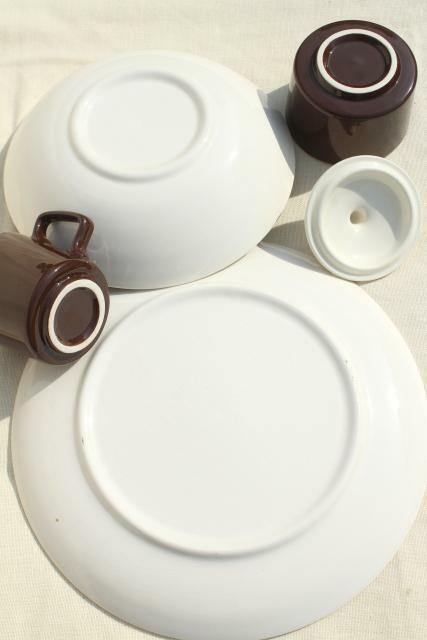 This lot is a set of vintage serving pieces, never used. 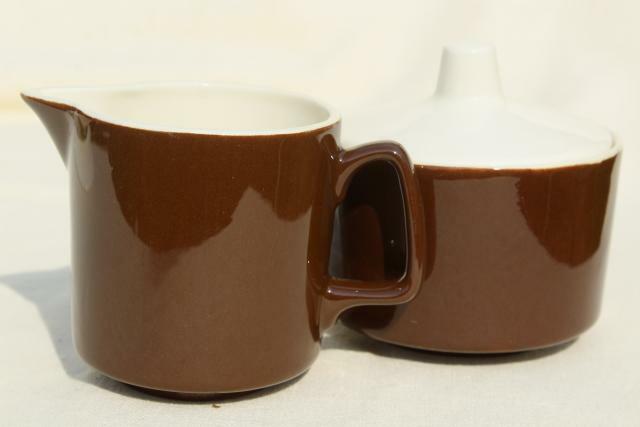 We just took them out of the worn original package for the photos. 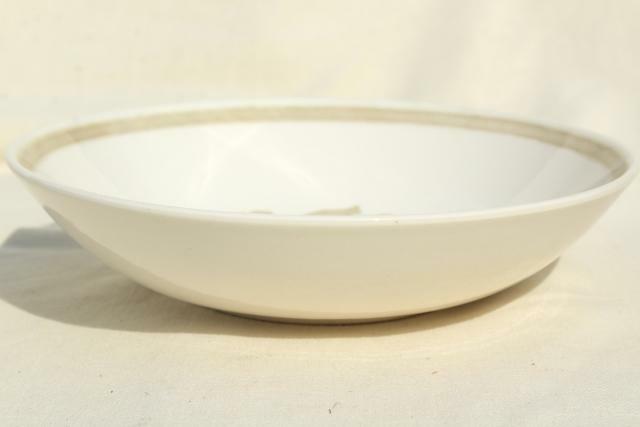 There's a 91/2" round bowl and a round chop plate or platter 11 1/2" in diameter. 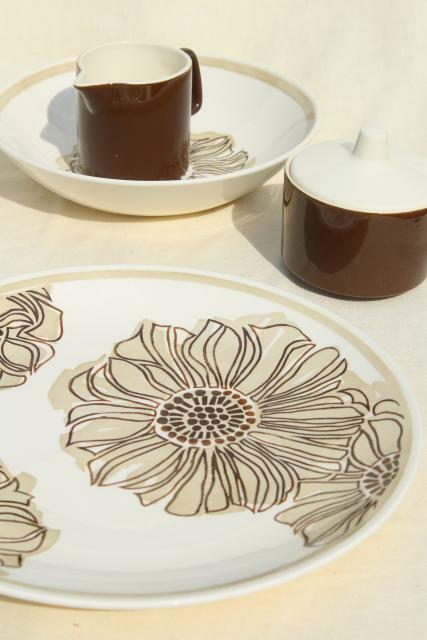 There's a brown and white cream and sugar set to match!